The internationally acclaimed conductor, composer, recording artist, and educator will conduct the Frost Symphony Orchestra and nurture the great artistic leaders of the future. 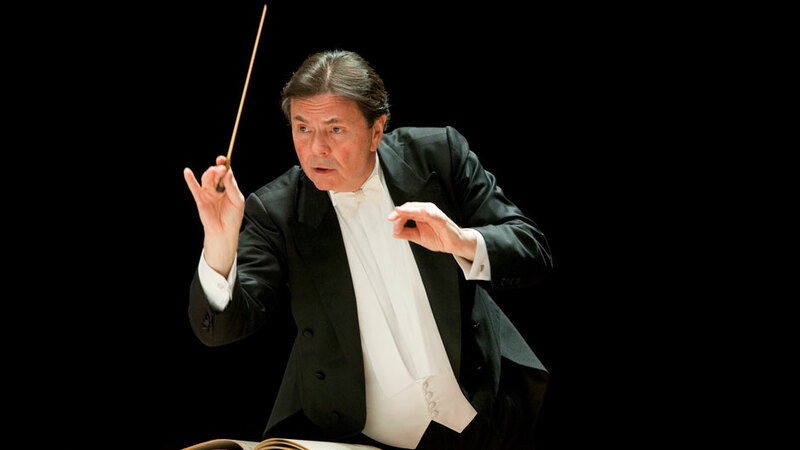 Gerard Schwarz, an internationally recognized conductor known for his moving performances, innovative programming, and extensive catalogue of recordings, has been appointed distinguished professor of music for conducting and orchestral studies at the Frost School of Music. He will assume his position as full-time professor of practice in the Department of Instrumental Performance this fall. Schwarz, who previously conducted the Seattle Symphony and New York’s Mostly Mozart Festival, is music director of the All-Star Orchestra, Eastern Music Festival, and the Mozart Orchestra of New York. He has recorded over 350 albums as a conductor, received six Emmy awards, 14 Grammy nominations, eight ASCAP Awards, and numerous other accolades. Also a noted composer and champion of new music, he has 6 million enrollees in his courseware with the All-Star Orchestra for the Khan Academy. Schwarz, who has conducted more than 300 world premieres, played a leading role in the creation of Seattle Symphony’s Benaroya Hall. He said he hopes to add to the Frost School’s growth with ideas for the orchestral/educational program that are already embraced by faculty. Schwarz’s much-anticipated memoir, “Gerard Schwarz: Behind the Baton,” was published by Hal Leonard Performing Arts Publishing Group in March 2017. He succeeds Thomas Sleeper, who conducted the Frost Symphony Orchestra with distinction for 25 years. The orchestra maintains an active performance schedule, on campus and beyond. Frost School orchestras have long had the distinction of performing with some of the most celebrated conductors and soloists from around the world, including Pierre Monteux, Leopold Stokowski, Gregor Piatigorsky, Jasha Heifitz, and Arthur Rubenstein. In recent years that tradition has continued to include Joshua Bell, Edgar Meyer, Jennifer Koh, Dawn Upshaw, Eric Owens, James Newton Howard, Bobby McFerrin, Cristian Macelaru, Simone Dinnerstein, and many others.